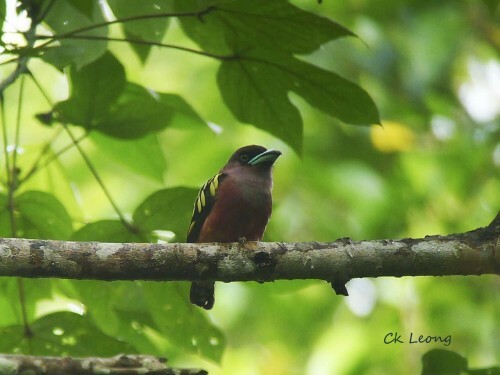 A first look at the Banded Broadbill Eurylaimus javanicus reminds you of the smaller Black and Yellow Broadbill. Both birds display similar wing patterns and blue bills. However the Banded does not have the white collar and the pinkish belly of the Black and Yellow. The calls of the two birds are very similar with the Banded starting its song with a loud note. They also share the same habitat in lowland forest up to 1,200m.